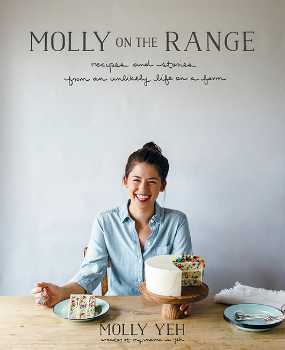 Last month, cookbook author and food blogger Molly Yeh posted a recipe for Smoked Butter Shortbread with Violet Buttercream, apparently inspired by Shakespeare's Twelfth Night. The cookies sound amazing, and I'm definitely tempted to make them, but I want all of my nearest and dearest to know that if I ever manage to pipe a single frosting decoration as perfect as Yeh's, no one is going to be allowed to eat it. It's quite possible I will insist on having it bronzed.